We are writers and bloggers, artists and illustrators, photographers and photoshoppers, designers and developers. Welcome to ST.ART Magazine, the only independent student-run arts/literary journal and creative collective based here at the University of St Andrews in Scotland. Founded in 2011, we're a team of artists and art-lovers alike dedicated to promoting the work and incredible talent of our fellow peers and the wider global art community through a uniquely expressive medium. Here at ST.ART we have a continually expanding team of creatives who contribute to generating content across our print and digital platforms. A biannual publication, we release one theme-based print issue per semester. We also maintain a strong online presence, posting regular updates across our website. Above all, at ST.ART we aim to provide an outlet through which any individual can express him/herself creatively and artistically. As a collaborative organisation, we facilitate the exchange between artists and their audiences: we host regular pop-up exhibitions showcasing student work; we post daily updates regarding current news and trends in the art world; and we collaborate with other student-run organisations here on campus. We hope to inspire a multiplicity of perspectives in our followers and to provoke the kind of thought and debate in our readers that befits the vibrant community in which we live. 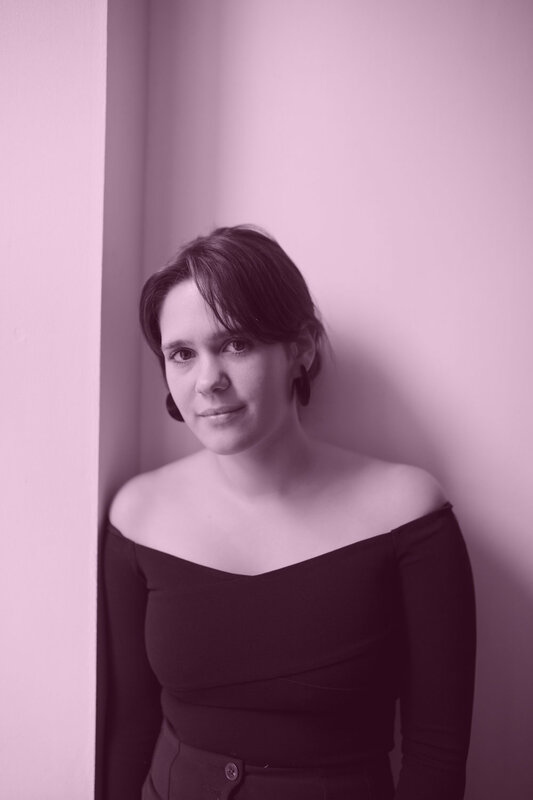 Originally from France, Emma has spent her life between the United States and her home country, where she has revelled in observing their vibrant people and cultures. With this, she fostered a love of art in all of its forms, which she wishes to pursue as both a hobby and a career. 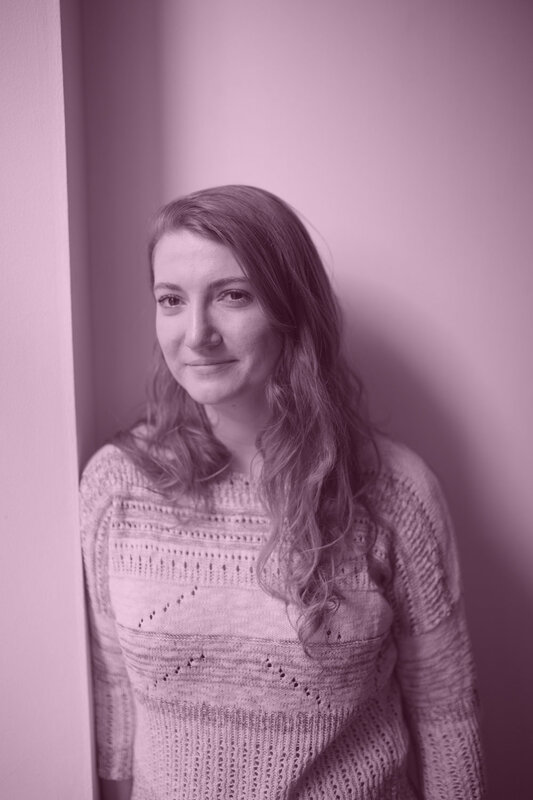 Previously our Content Editor, Emma has taken on the role of Editor-in-Chief this year, managing the creative team and overseeing all operations of the publication. To get in touch, email her at st.artthecreative@gmail.com. Miles is a fourth fear student from Atlanta, Georgia. Although studying for a degree in International Relations and Modern History, his passion lies in the arts, namely writing and theatre. He’s been involved in some way with theatre constantly since he was 12, acting, directing, and beyond. He aims to pursue a career in journalism, or anything that lets him furnish his kitchen and watch some good theatre occasionally. To get in touch, please email mph4@st-andrews.ac.uk. Angie is a third year student pursuing a joint honours degree in International Relations and Philosophy. She has a longstanding interest in photography and design, and expresses this interest through facilitating and executing creative photoshoots around St Andrews. To get involved or to voice ideas, feel free to email her at lk50@st-andrews.ac.uk. Taliha is a fourth year English student and is one of the magazine’s Content Editors. Before taking on this role, she founded the Young Curators Group at the William Morris Gallery in London and volunteered there as a curator. It is here that Taliha’s interest in art blossomed and, as a result of her work to engage more local young people with the gallery, she won the Youth Award at the London Volunteers in Museums Awards in 2015. Her passions lie in the arts and learning about different cultures, both at home and abroad, and when she is not caught in the Bubble, she enjoys visiting art exhibitions and travelling around Europe. If you have any articles you'd like to send Taliha or any ideas you’d like to share, drop her an email at tag20@st-andrews.ac.uk. Helena is a third year from Korea but went to school in Canada. She has always been interested in graphics as she enjoys playing with art and technology to convey important messages to people. Since she is from a culturally diverse background, she is very excited to join ST.ART Magazine this year as arts and culture are both important in our society, encouraging people to come together. To get in touch, please email nh51@st-andrews.ac.uk. Rupert is a fourth year studying Economics and International Relations. Born and raised in Edinburgh, he developed a keen interest in Scottish art and music from a young age. With passion in both the arts and business, he is excited to combine both these interests in his role as Business Manager. For any business or sponsorship related matters, please email recd@st-andrews.ac.uk. Lily is a postgraduate studying Art History. From graphics to web design, she enjoys working in multiple mediums but particularly loves combining photography with multi-media works. She's here to help with all things graphic + creative! To contact her, email lar23@st-andrews.ac.uk. Petra is a final year student in Psychology and Economics, a degree combination close to her heart. Coming from the eclectic site of Budapest, she prefers her art vibrant and music loud. She likes dinner parties just as much as a night-out turned to a night-in. As social media manager, she wishes to explore creatives in St Andrews and promote their work through Instagram and Facebook. Don’t be afraid to message her and get your work shared at pp47@st-andrews.ac.uk. Chiara is third year Art History and English Literature student from Edinburgh. Aside from her passion for writing, Chiara spends her time at life drawing classes, visiting art exhibitions, ticking off music festivals, and finding new inspiration for the ST.ART Instagram. She joined ST.ART to become more involved with the abundance of creative energy in St Andrews, and encourages artists of any sort to get involved - hoping to employ the social media as a platform to inspire and promote young creative talent. Contact her at cw227@st-andrews.ac.uk. 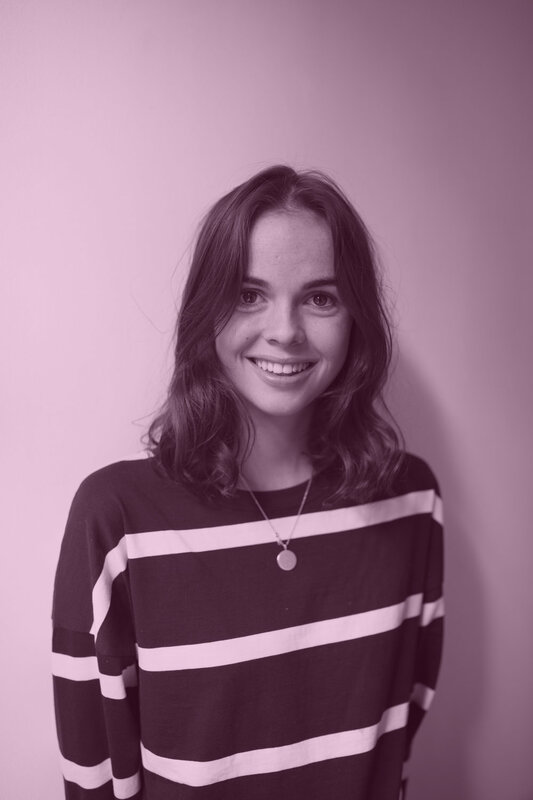 Erin is originally from Edinburgh ad is a third year biochemistry student who is excited about getting involved with the ST.ART events team this year. She appreciates all forms of art and is always looking to be exposed to new creative styles. To get in touch, email erinjlaw97@gmail.com. Euan is a second year International Relations and Modern History student, hailing from Scotland. He is relatively new to ST.ART and is excited to be a part of some new projects this year. After accidentally getting involved in student journalism he now enjoys writing about St Andrews’ music events and is looking forward to contributing in a positive way to the culture of KY16. To get in touch email eb248@st-andrews.ac.uk. Paige is a third year, and co-Arts and Culture Sub-Editor of ST.ART Magazine. Her passion for travel and exploring cultures outside of the United States in their greatest depth has landed her as a student of English and Modern History at the University of St. Andrews. Her motivation for joining ST.ART is rooted in her passion for art in both its creation and exhibition, as influenced by her studies of history and literature, as well as her own production of art in a variety of visual forms. Before taking on this role, Paige studied art extensively through courses in documentary photography, photo design, painting and drawing prior to university. She takes particular interest in historical art movements and their reflection of contemporary social change. If you’re interested in writing for the Arts and Culture section, drop Paige an email at pem2@st-andrews.ac.uk. 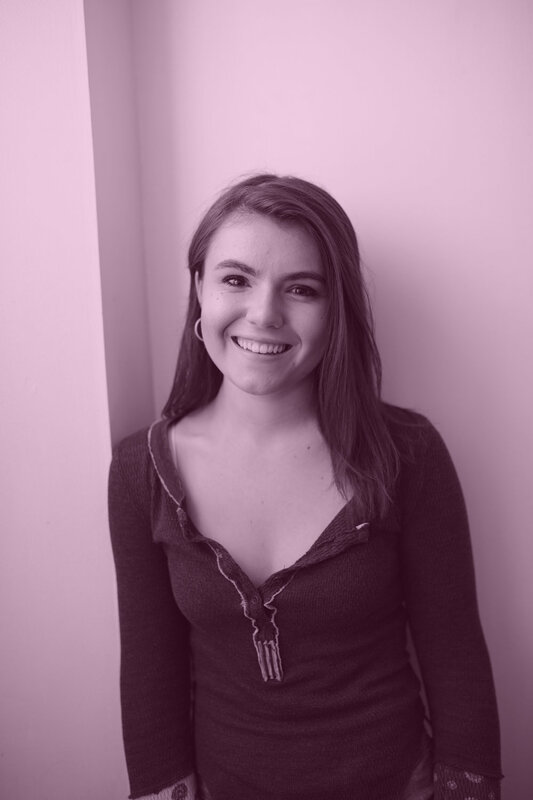 Eva is a fourth year Baltimore native who somehow found herself studying English and Philosophy in Scotland. Her motivation for joining ST.ART as the creative writing co-subeditor this year is largely rooted in a desire to be involved with writing in a community, rather than purely academic, context. She anxiously awaits reading submissions from different corners of the St Andrews bubble. Any questions, comments, or potential affinities for Frida Kahlo can be sent to her at esm4@st-andrews.ac.uk. Simona is a third year student reading Art History, Comparative Literature and Film Studies. She comes from the south of Italy and feels incredibly proud of her Apulian roots. With a past as ballet dancer, no wonder art has always been part of her being. Incredibly passionate about everything that's 'art', curiosity and thirst for knowledge are her real driving forces. Fashion is what she wants to do in life, as one the most powerful means of human expression and an art form in itself. If you want to write about fashion or have a collaboration in mind, send Simona an email at sm390@st-andrews.ac.uk. Tom is a third year Philosophy and International Relations student hoping to dedicate his time after university to environmental conservation. Until then, music influences most of his time at St Andrews. As a DJ and committee member for the Wax Collective, a STAR Radio host throughout his first year and a contributor to ST.ART magazine since the beginning of his second semester, he hopes to bring new, diverse and up-and-coming content to ST.ART magazine’s music section. Email him at tom.ec.hurst@gmail.com. Matthew is from Seattle and a co-editor of the Arts & Culture Section. He is a second year english lit student. He is a sagittarius. Contact him if you have any questions, ideas or pieces of writing. To get in touch, please email mjm36@st-andrews.ac.uk. Amy is a fourth year student of English Literature and French. She is fascinated by human relationships and has been ever since she was young; this interest in people and their mechanisms coexists well with her love of reading and writing. She is looking forward to bringing her enthusiasm and creativity to the role of creative writing subeditor alongside Eva. Tessa is currently a third year student studying both Management and Spanish. Originally from Austin, Texas and raised with an exposure to the live music scene, Tessa has always been immersed and interested in the arts. From films to works in translation, she's passionate about pretty much anything culturally engaging. Email her at tal2@st-andrews.ac.uk. Elsa, a fourth year English student, joined ST.ART last year as Theatre Sub-Editor. In her hometown in Iowa, she found a passion for theatre within a close community of storytellers. Elsa is constantly looking for new dramatic projects that are happening in and around St Andrews and is always open to discussions about the local theatre community. Email her at edk3@st-andrews.ac.uk. Illeana is from Miami, FL, and is the Fashion Sub-Editor for ST.ART. She is a fourth year studying Art History and Management. If you would like to contact her for more information about how you can get involved with fashion, please email il37@st-andrews.ac.uk. Beth Connell is a third year History student from *near Leeds*, currently working as Fashion Sub-Editor. If you would like to get in touch or hear more about how to get involved with the fashion team, contact bc68@st-andrews.ac.uk. Originally from East London but now living in Glasgow, Marco is a fourth year International Relations student and aspiring broadcast journalist. As ST.ART music sub-editor, he is keen to showcase the talents of student artists and performers. Marco sees music as a vital human mode of expression; and the performance of it as being a conversation between artist and audience. To him, music making is storytelling, and he is interested in how it is used as a tool for political protest, as well as in how music plays a pivotal role in fostering the creation of underground sub-cultures and communities. Marco also loves some Beyonce. Please get in touch if you have article ideas at mm363@st-andrews.ac.uk. Ania is a third year from Poland working towards her joint degree in Art History and Film Studies. She is excited to join ST.ART this year as Photography Editor. Her own photographic practice has encouraged her to interview photographers for the magazine and get more insight into the work she is interested in. To get in touch, please email aj79@st-andrews.ac.uk.